Last year, a 26-year-old man receiving treatment for leukemia went to a Swiss hospital's emergency room with a fever, a sore throat, and a cough, and was admitted. His condition worsened, and 17 days later, he died from severe complications of measles. The man's weakened immune system was unable to fight off the disease, even though he was vaccinated against measles as a child. A new report in Open Forum Infectious Diseases describes the man's case, highlighting the importance of maintaining high vaccination coverage in the community to help protect people with compromised immune systems from measles and other vaccine-preventable infections. "Measles is not harmless, it's a serious disease," said the report's lead author, Philipp Jent, MD, of Bern University Hospital and the University of Bern in Switzerland. "There is a responsibility to vaccinate yourself to protect others, not only to protect yourself." Following the patient's admission in February of 2017, he developed additional symptoms over the next several days, including a progressive rash, mouth sores, and conjunctivitis, that suggested measles, although he had been fully vaccinated against the disease with the recommended two doses of the measles, mumps, and rubella (MMR) vaccine in the 1990s. 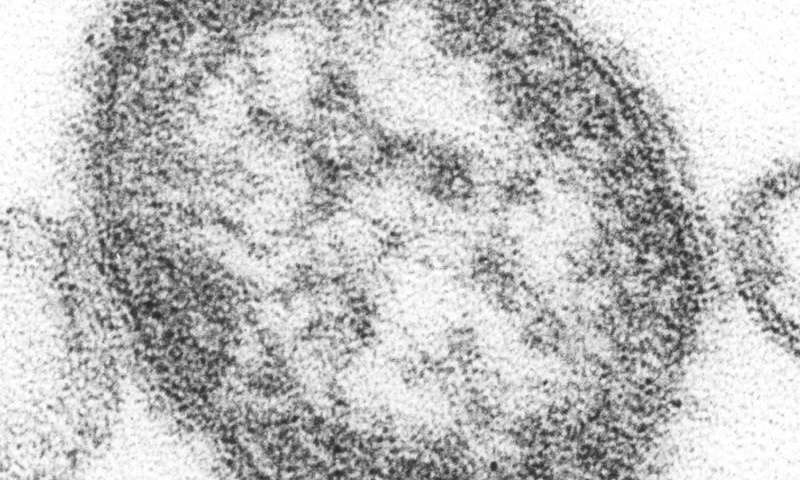 A throat swab test confirmed the measles infection. Treatment with ribavirin (an antiviral drug), immunoglobulins (a type of antibody), and vitamin A did not improve his condition. He subsequently developed severe pneumonia and died. The case illustrates how serious measles can be, particularly for people with compromised immune systems due to cancer treatment or other causes. It also underscores the importance of herd immunity in protecting these vulnerable individuals, the report's authors noted. When vaccination rates in a community are high enough, vaccine-preventable diseases like measles are less likely to spread, which helps protect those who cannot be vaccinated (such as newborns not old enough to be immunized) or, like the patient in this case, for whom vaccines are not as effective. When the proportion of people in a community who are vaccinated drops below this threshold, however, as it has for measles immunizations in several European countries, outbreaks are more likely. More than 41,000 children and adults in Europe were infected with measles during the first half of 2018, according to the World Health Organization, exceeding the annual total of European cases reported in any previous year this decade. In the U.S., there had been 142 confirmed cases of measles in 2018 as of early October, according to the U.S. Centers for Disease Control and Prevention (CDC). Data released by CDC in October also showed a gradual but concerning climb in the numbers of U.S. children who reach their second birthday without having received any recommended vaccines. "Ongoing efforts to raise confidence in vaccines and increase population immunity should be intensified," the authors wrote in the case report's conclusion. Physicians caring for people with compromised immune systems, the authors noted, should also ensure that those in close contact with these patients, such as family members and friends, are fully vaccinated. People with weakened immune systems are at risk for contracting vaccine-preventable diseases, such as measles, even if they have been vaccinated. In this case, a 26-year-old Swiss man undergoing treatment for leukemia contracted measles and died from severe complications of the infection, despite being fully vaccinated against measles as a child. Maintaining high enough levels of vaccination coverage in the broader community, also known as herd immunity, can limit the spread of measles and other diseases and help protect those who are especially vulnerable.